Since early 2009, the street word “Mori girl” has started to be used broadly in Japan. 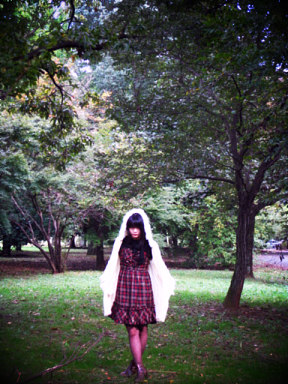 The word refers “a girl who looks like living in a forest”, and it’s often used to describe their fashion style; girly, natural, and not showing their bodylines. Mori girls love the items that show their naiveness in their girl sides, like oose comfortable dress, hood, flower print and knit cape. Along with the increase of mori girls, the popularity of Sanrio’s 35 years old characters, Little Twin Stars got increased too. 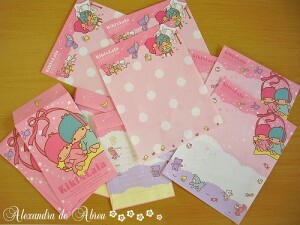 The sales Little Twin Stars’ goods increased five times more than last year. The twins, Kiki and Lala have been loved for 35 years since it released in 1975. And now, it seems the soothing kawaii (cute) atmosphere of the twins caught the mori girls’ heart. In the Sanrio stores, many mori girls buying Little Twin Stars goods are seen.